Many Swedes are using mouthwash as a daily routine. It is said that mouthrinse is a good complement to regular tooth brushing and that it can reduce the risk of gingivitis. 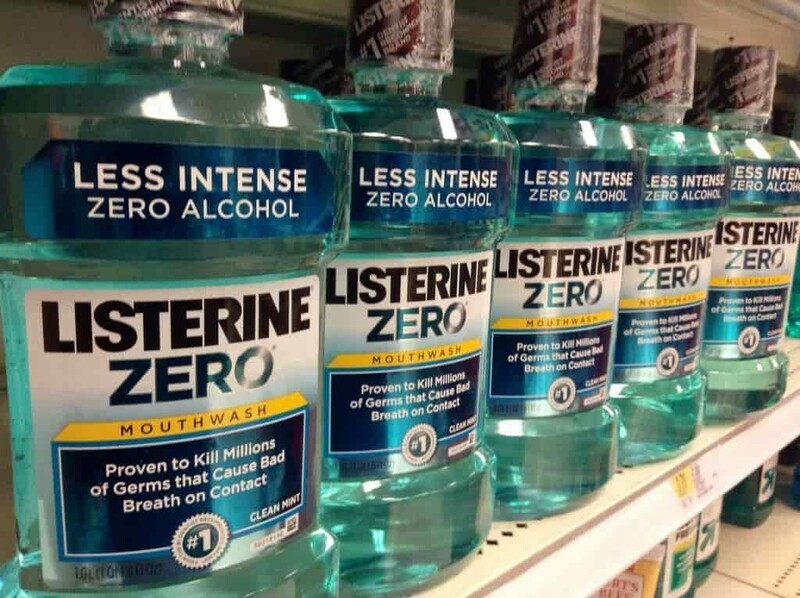 But what is the truth about mouthwash? Is it good or bad for your dental hygiene? In this article we list 5 myth about mouthwash that you should be aware of. Today you’ll find numerous of different mouthwash products on the market and many people believe that they are all more or less equally good. But don’t let yourself get fouled by the advertisements. There are in fact two different kinds of products; cosmetic and therapeutic. Cosmetic mouthrinse are effective in removing food waste from your teeth and gum, reducing bacteria and reducing bad breath. However, these kinds of products are not very effecting in reducing the risk for tooth decay. Therapeutic mouthwash, on the other hand, contains active ingredients such as chlorhexidine and fluoride, which actively reduce the risk for tooth decay and plaque. In order to ensure good dental hygiene, always choose a mouthrinse that contains one of these active ingredients. Wrong. Many mouthrinse products contains large doses of alcohol, which in the long run could cause mouth dryness and cause bad breath. Some studies also shows that mouthrinse products with high alcohol content could cause mouth cancer. However, these studies are limited and should not be fully trusted. If you are worrying about the side effect from mouthrinse products, we recommend you to use non-alcohol products, which can easily be find in my stores. But be aware. Alcohol is not the single harmful ingredient. Many mouthwash also contains chlorhexidine, which could also have a harmful impact on your gum and teeth. One of the most common reason for using mouthwash is to remove bad breath. However, bad breath does not only come from your mouth. Bad breath also comes from your lungs, caused from the food you are eating, and as a result, mouthrinse can only temporarily remove bad breath. It is true that mouthrinse can improve your dental hygiene and reduce the risk for serious dental problems. But be aware, mouthrinse can never replace a proper brushing. Cleaning your teeth and gums with a toothbrush and a dental floss twice a day reduce more plaque and bacteria than mouthrinse. So if you are using mouthrinse, do so only as complement to regular tooth brushing. Are you using mouthwash and only rinse for a few seconds before you spit it out? In that case you are not alone. Using mouthrinse can be a uncomfortable experience and sometimes even burn your gum. But in order to get the most out of the product you should rinse your mouth for at least 30 seconds before you spit out. In that case all the active ingredients are put in action and more bacteria will be removed.